I recently bought a new iPad Air 2. 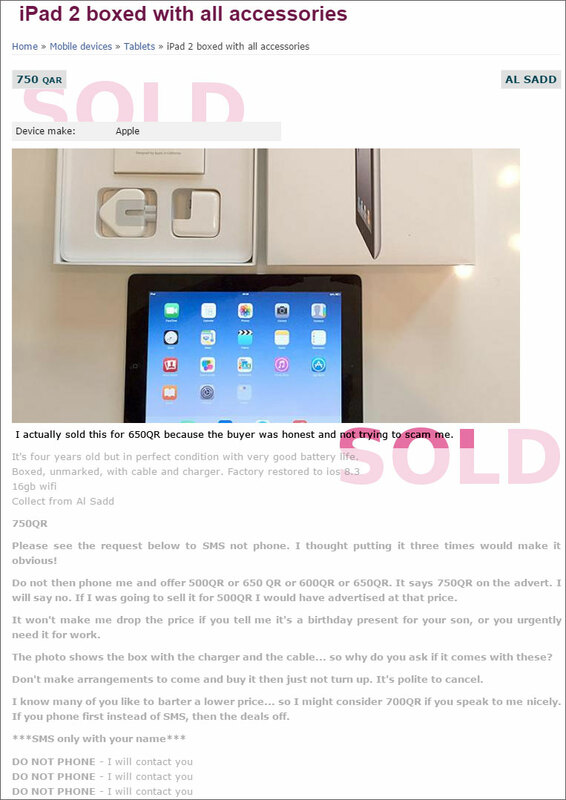 My iPad was passed to J, and I placed an advert on Qatar living to sell her old iPad 2. As a British expat, I am following the news about the forthcoming general election in the UK, although having failed to register for a postal vote, I will be unable to influence the result. 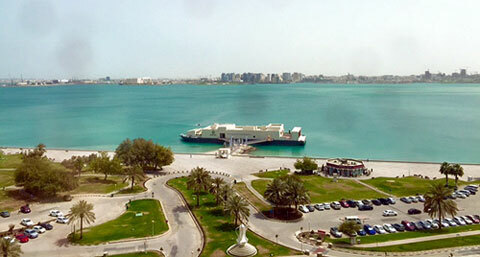 Also after nearly 3 years in Qatar, I feel distanced from the politics of my home country. It’s not that I don’t care, but that it it no longer directly impinges on my life anymore. 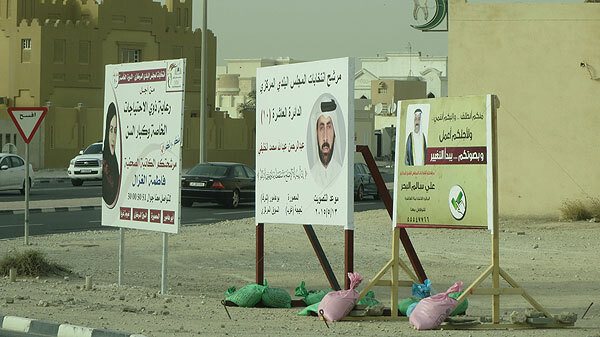 At the same time in Qatar there are municipal elections. So if you’ve wondered what the signs are at traffic intersections or by the roadside, they’re for candidates announcing that they are standing for election. Clearly the candidate (right) should have made his sign bigger to compete with his rivals. 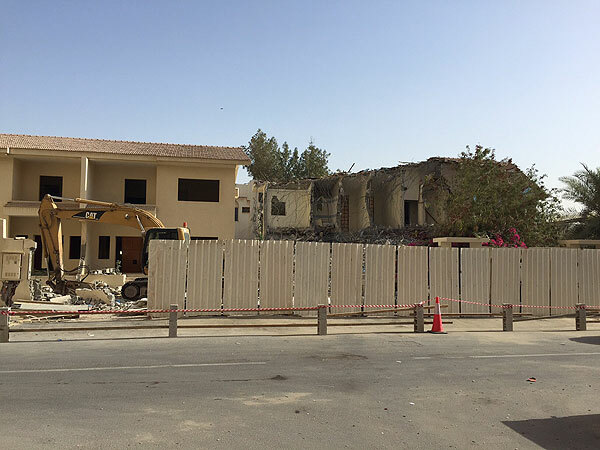 A Google search shows that construction noise in Doha has been an issue for years. 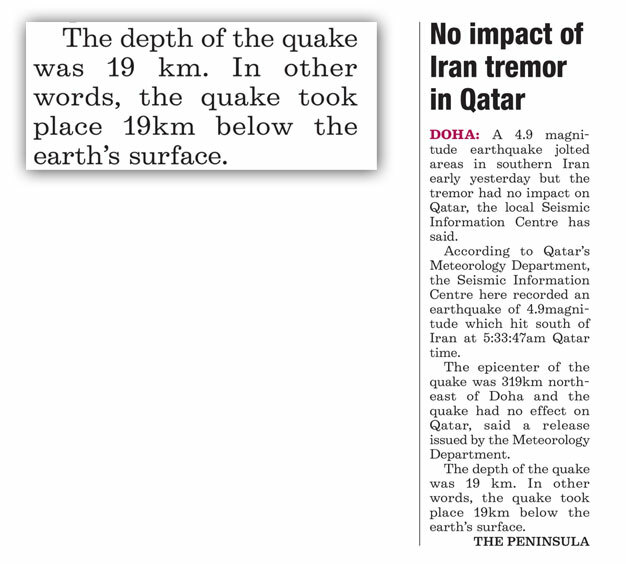 Last week Doha News reported ‘Bleary-eyed Qatar residents seek relief from construction cacophony’. This clunky headline coincided with work starting to knock down three houses in the street behind our apartment. Work commenced around 5.30 in the morning. Our flat is on the other side of the building, facing away from the demolition so, thankfully, we don’t hear it from our bedroom. Our dining room is on the side of the building. If I hang out of the window I can just see the dust from the work, and even with the windows tightly closed, hear the incessant sound of the hydraulic jack hammer as it smashes through the reinforced concrete. It must seriously disturb the 120 apartment dwellers who have windows overlooking the works. At the end of the row of houses is a small mosque. I am assuming they wait until after morning prayers to start work and stop at prayer times throughout the day. Once the buildings are gone, I expect the noise will restart as basement excavations begin followed by the construction of another apartment block. Satellite views of our building in Al Sadd from Google Earth Pro, showing the development between 2003 and 2104. My dentist is located in one of the towers in Westbay. My appointment was at 1pm. I was expecting a root canal followed by a new crown spread over four visits. It’s difficult to find a place to park during office hours, however I drove around the block once before eventually finding a spot just outside the building. I think you’d be hard pushed to find a waiting room with a better view. The good news was that the dentist decided that I only needed a crown, so just two visits are needed. After the fitting of a temporary crown I headed down, with a numb mouth, to drive home. 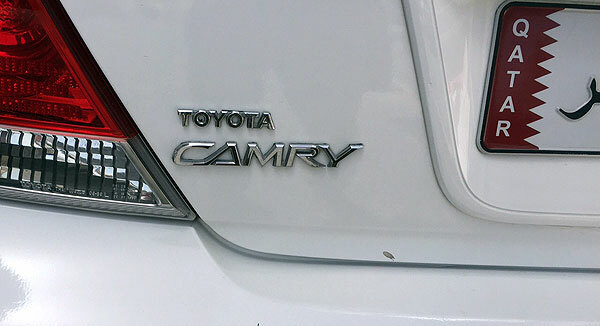 There was a little yellow sticker on the driver’s window, and on the other cars parked adjacent to me. 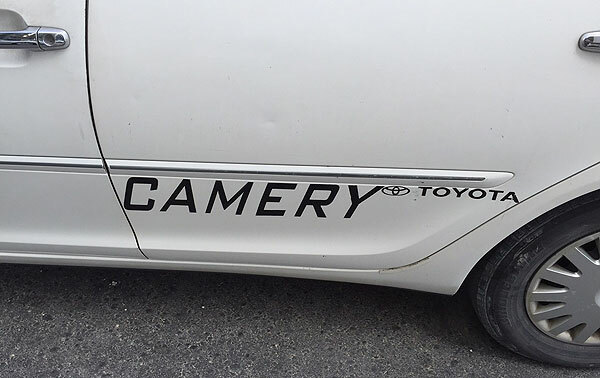 I was parked on a paved area in front of the building… not technically a parking space but one that has habitually been used by cars. 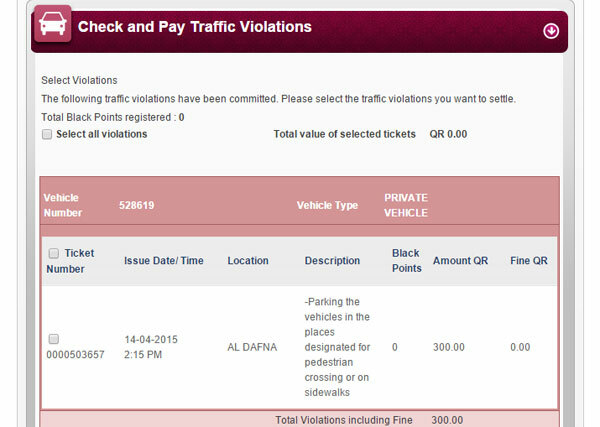 I am not sure how much the fine will be as it has yet to appear on the MOI website. Next time I’ll find a proper parking bay. Also, if anyone needs dental treatment, just contact me via the comments box, as I would certainly recommend my dentist. 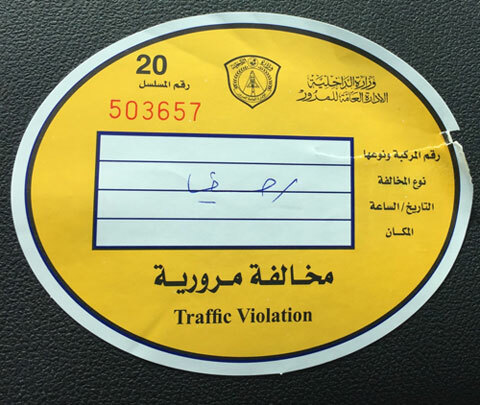 Postscript – 300QR fine is not so bad.